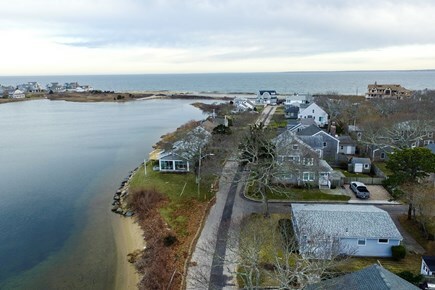 This lakefront New England retreat is the quintessential Cape Cod home with amazing views, plenty of room for four guests, and a location within walking distance of Bristol Beach. 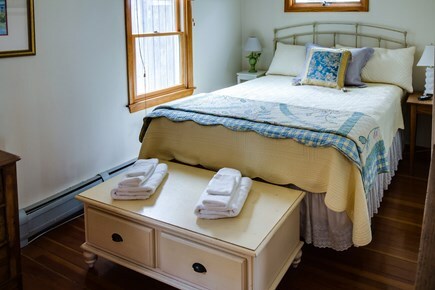 This coastal Falmouth vacation rental sits on an idyllic street with views of Little Pond. 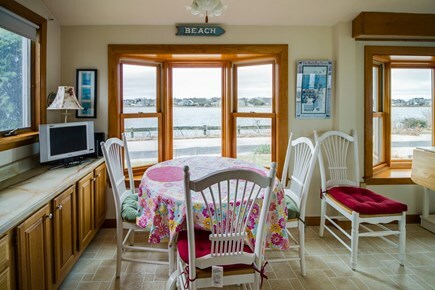 Grab one of the beach chairs provided in the home and walk to Bristol Beach, just a third of a mile away. Explore the charming town of Falmouth with antique shops, cafes, restaurants, and parks for biking and hiking. 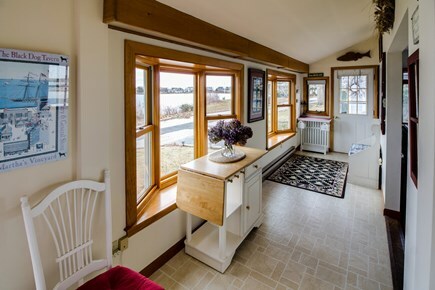 This sweet little home is bright and cheery with lots of windows allowing optimal views of the lake. 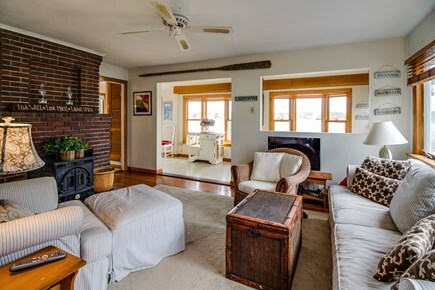 The living room is cozy and has a flatscreen cable TV for movies, or grab a book off the shelf for some quiet reading. The dining room has a great view and leads into the well-equipped kitchen that has all the tools necessary to prepare delicious family meals. 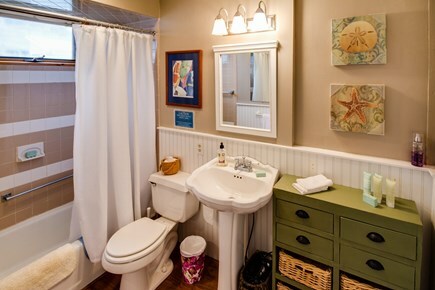 There are two bedrooms and one bathroom, providing just the right amount of space for four travelers. 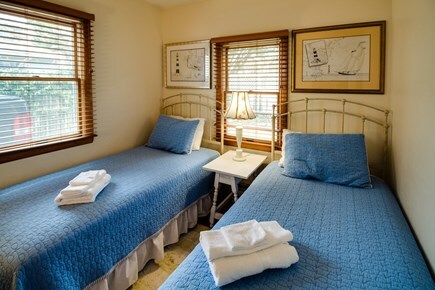 The master bedroom has a queen bed and a cable TV, and the second bedroom has two twin beds. 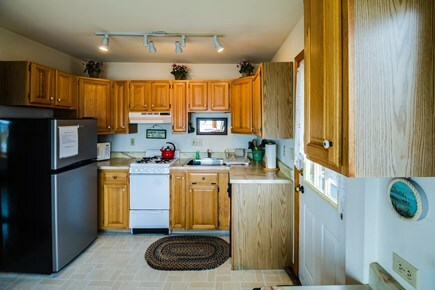 A private washer and dryer are also available for your added convenience. 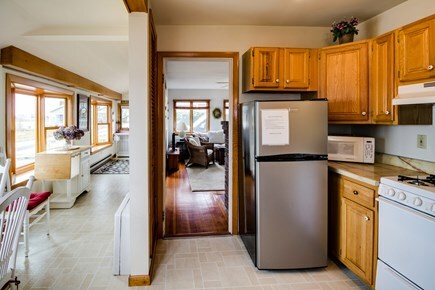 This beautiful retreat has WiFi access and a gas grill and patio set for fun barbecues and outdoor entertaining. There are seven beach chairs and adult and child board games. 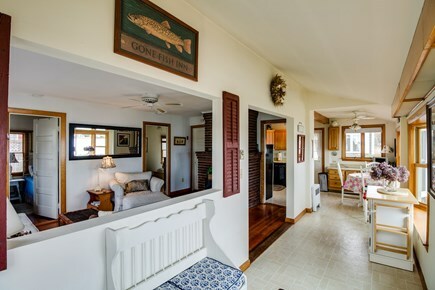 This sweetly decorated Falmouth home is perfect for a tranquil retreat with friends or a memorable family vacation. Enjoy days spent playing in the sand at the beach - search for seashells and take sunset strolls. 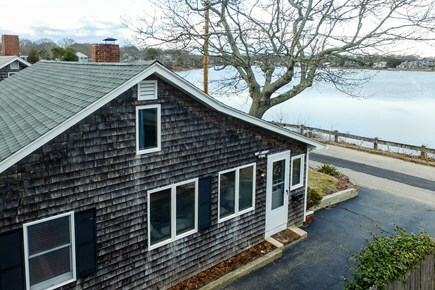 Bring your bikes along to explore the quaint New England neighborhood surrounding this rental. Find a great nearby eatery for a delicious bowl of clam chowder (or, if you're a local, ''chowdah''). We invite you to book this vacation gem now! Loved the view of the lake out the front windows. Enjoyed watching the ducks and swan. We particularly liked the walk to the beach and by the boats. It was very quiet but still close to the downtown area. Spent a few days at this lovely property. 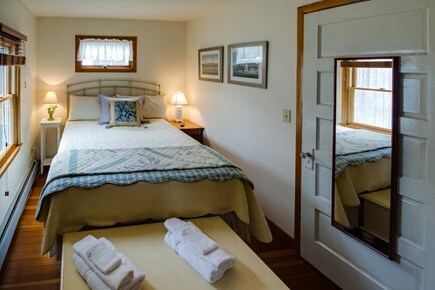 Great place for a couple's weekend or a quiet place for one person. Near to two little towns with great restaurants and specialty shops. The view from the front of the house was beautiful and the drive along the ocean was wonderful. I highly recommend this property and would definitely book it again. Location perfect. 5 min to beach. Quiet neighborhood. Lovely view. Linens nice quality. Clean and met all our needs. Very close to neighbors. Great for a couple (which we were) or small family. Our stay at the place was very smooth. We were there for a couple of nights and it was very breezy. The nearby beach is very peaceful and easily accessible. Bathroom door had no lock. Walking distance to the British Beer Co.! 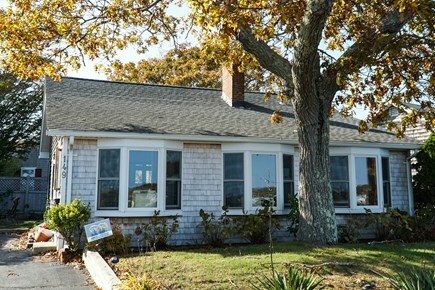 We enjoyed our short weekend in this little cape cottage overlooking Little Pond. Within walking distance of the beach. 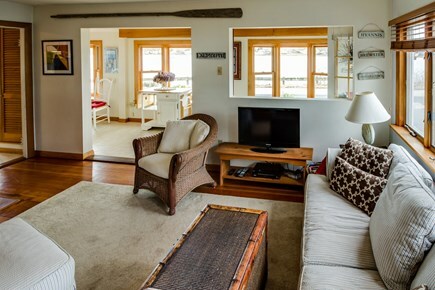 We thoroughly enjoyed this nicely furnished 2 bedroom cottage. The cottage is on a pond with wonderful views. It is also a short walk to the beach. We would definitely like to rent this cottage again.